This update was originally sent to our wholesale customers, but so much has been going on here at MiniWaters.fish that I feel compelled to share this with everyone. A lot has been going on this summer. Time for a big, rambling update! AMAZONAS Magazine, November/December 2018, MEDAKAS, will be the 2nd issue produced by our revised publishing team. 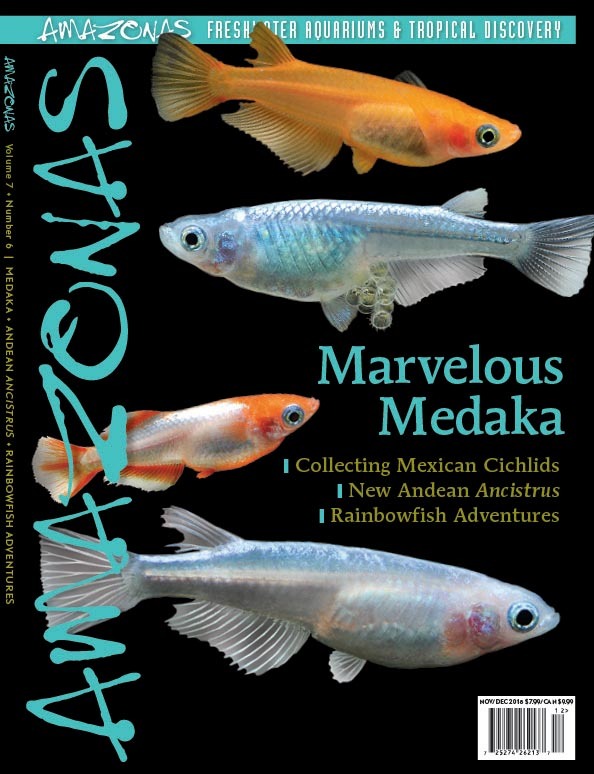 Many of you now know that myself, along with lead partner Stephan Tanner (Swiss Tropicals – http://www.swisstropicals.com/ ) and Mike Tuccinardi have taken over as publishers of the premier English-language freshwater aquarium magazine, AMAZONAS Magazine – www.AMAZONASmagazine.com. I actually came on board with Reef To Rainforest Media and CORAL to help launch AMAZONAS back in late 2011; I’ve been with this English edition of the magazine since the beginning. Our team is wrapping up the final proofing of our second issue this weekend, November/December 2018, which will feature the stunning array of ornamental Ricefish. I still have a lot of work ahead of me this fall, and publishing AMAZONAS along with my continuing role in CORAL will take top priority. I ask for your understanding in that regard…the spreading of knowledge to our customers through the magazines comes first. If you’re not carrying CORAL and AMAZONAS in your shop, please reach out to janine.banks@reef2rainforest.com and tell her that I sent you! MiniWaters Wholesale (and Retail) Is Back On! And that brings me to this first availability list for the fall. I brought in a small shipment from our newest freshwater partner in southern Wisconsin before MACNA, and all the fish have been doing extremely well. MOST have already been sold, but look for F1 Peruvian Spotted Angels and new to my list, Yellow King Kong Shrimp. I’m going to say it now, the wholesale price point on those may be a one-time thing…so don’t delay. I have limited saltwater availability at the moment, but anticipate a shipment of Sustainable Aquatics fish in the next week or two, hinging on something they’ve been working on for me. If there is something you need from SA and would like me to carry it, please ask. Doty Aquaculture is working on some interesting projects…maybe by the new year we’ll have some neat things to show off to your customers. If you have an independent pet retail location or service company, you may be eligible for wholesale pricing. Visit our wholesale page to learn more. 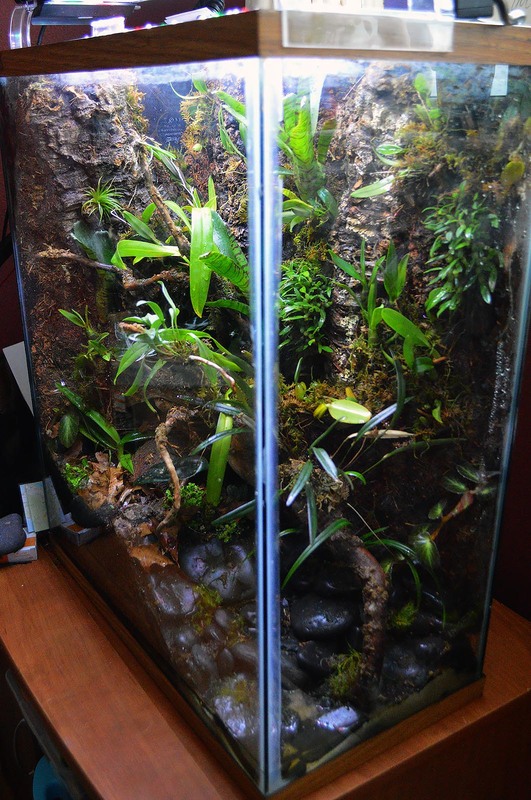 A very simple to set up Poison Dart Frog vivarium in a 20-long aquarium, which houses Phyllobates terribilis “Orange”. My then 7-year old son chose the plants and created the layout. The last time I emailed, I mentioned the amazing future I see for the vivarium hobby as a complementary offering to freshwater and marine aquariums. Specifically, the Poison Dart Frogs. It turns out many of my reefkeeping friends agree…even when speaking at MACNA in Las Vegas last weekend, Dart Frogs and vivariums were frequent topics of conversation. I didn’t bring any coral frags or fish to MACNA, but I did have several plant cuttings making the journey, now redistributed across the US! A cracked 20 X-high found on the roadside was reclaimed to create this stunning vivarium for my wife’s 3rd-grade classroom. Why Vivariums? They’re basically the terrestrial version of a reef tank. They are extremely easy to take care of, and I think they’ll represent a high-margin opportunity for independent pet retailers. More importantly, they represent a hobby that you can use to “rescue” and “save” an unhappy aquarist to keep them as a customer in your store. Don’t know what I mean? Well, what do you do when a hobbyist comes in wanting to sell his big saltwater tank? If you’re smart, you walk him over to the African Cichlid department and turn him into a freshwater hobbyist…who can buy fish week after week for months on end while he stocks the tank to the gills…a necessary aspect of rift-lake cichlid husbandry! Also…a profitable and happy customer you kept in the hobby. 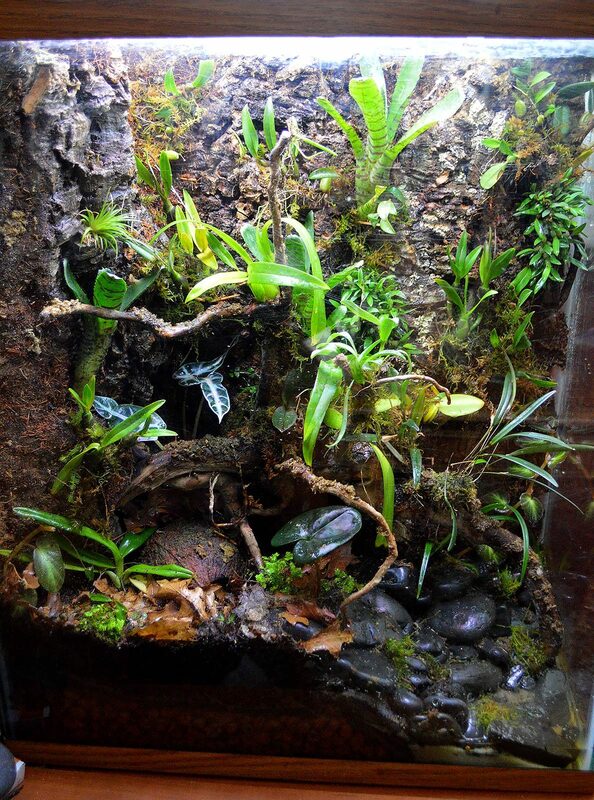 Dart Frogs and living bio-active Vivariums – the terrestrial version of a reef tank, but far easier to care for. This is how you save someone who’s throwing in the towel due to endless problems with cyanobacteria, Aiptasia, or disease wipeouts. You walk them over to your dart frog display…and you retain a customer that would otherwise be lost. I should also mention…this is significantly easier than freshwater aquascaping and planted tanks too…no fertilizers or CO2 to worry about, no horrible algae outbreaks here either. Oh, and bioactive vivariums even have their own unique terrestrial cleanup crews too! All of this in just a 10 gallon aquarium in my daughter’s bedroom. One of our Ranitomeya imitator “Varadero” thumbnail poison dart frogs transporting a tadpole on his back to a water source. If FROGS are the equivalent of fish for “terrestrial reef tank”, then PLANTS are the corals. Think about it – you can generally only sell your customer a pair of clownfish and that’s it for their tank, no more clownfish. But how many coral frags can you offer that same customer? 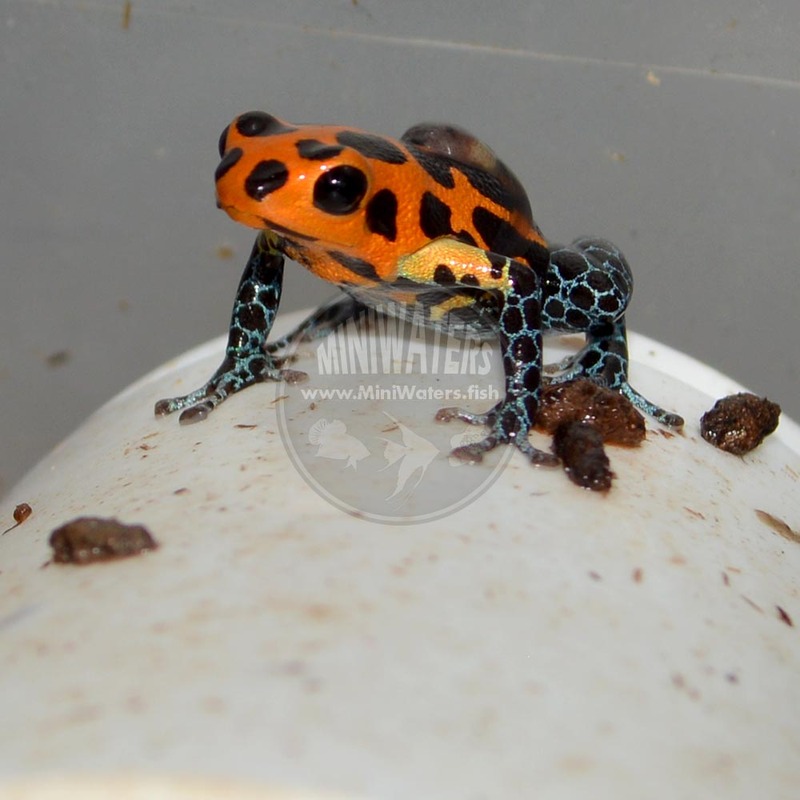 The same holds true – dart frog hobbyists generally keep one variety of frog per vivarium. And then if they want another frog, they build another vivarium. Frogs are the stars of the show, but they’re not where the profits really come from. It’s glass, wood, and plants! I have MANY plants in grow out at this time, and new things are going into the propagation trays nearly every week. This first list just scratches the surface of the varieties I have or will have. People can and do buy plants anywhere; the local nursery, Walmart and what not. These plants come with unknown risks – potentially devastating chemical fertilizer and pesticide applications rank high in the concerns, not to mention pest risks. 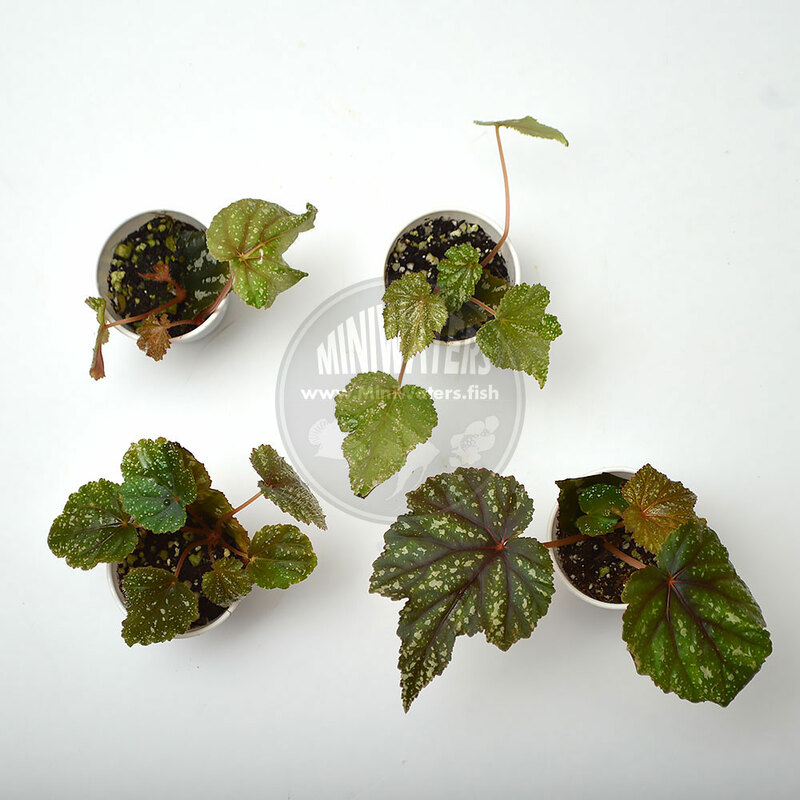 Here’s the key thing to know about our MiniWaters Duluth-grown plants: they all go through a sanitization process with bleach at the start of the of the propagation process, and then grow for one to several months prior to being offered for sale. We use animal-safe organic fertilizer when needed. 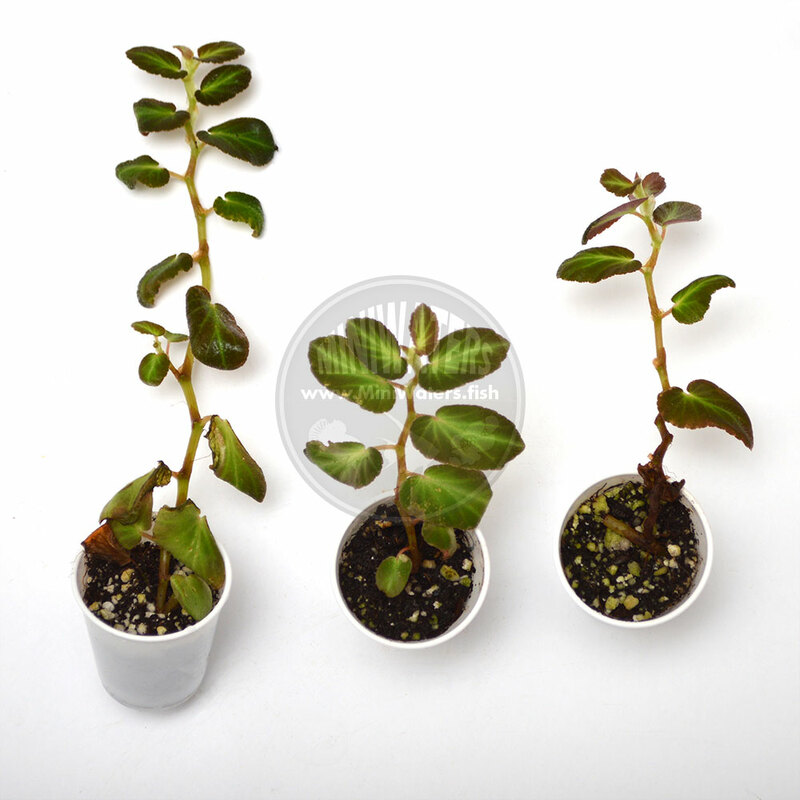 While there’s no way to guarantee pest- & pathogen-free plants, I’m confident that the processes I’m working with are producing low-risk, clean plants, that are far better suited for sale to your customers. If you’re already supporting the vivarium hobby in your shops or personal life, you’ll understand where I’m coming from. If this is *new to you*, then pick up the phone, and let’s chat. I don’t intend to be your only vivarium supplier, but I can help you get a handle on what you need and some of the options for finding it. 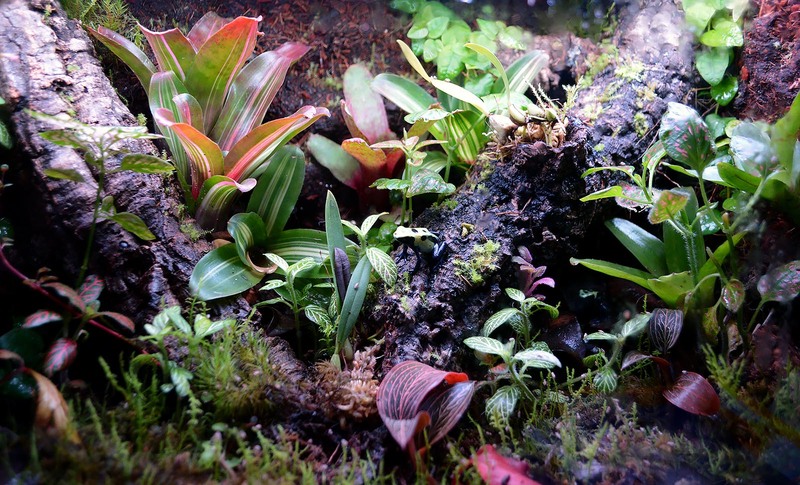 The bio-active vivarium is an incredibly easy hobby to pick up and master, and I believe it is one of the next big things for the “glassbox” pet industry. Most importantly, it’s something that the box-store competition is completely unprepared to offer to their customers, and when they do, they’re generally failing miserably at it. Set yourself apart and a cut above. I’m hearing nothing but great things so far for the fall retail season, so I wish you all the best! Please let me know how MiniWaters can help your business flourish! 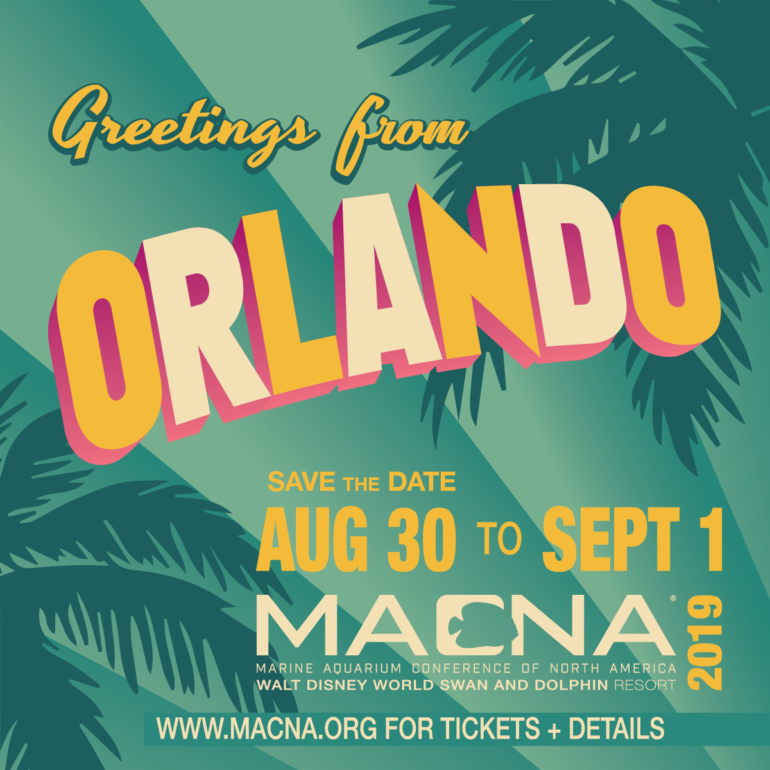 Are you going to attend MACNA 2019 in Orlando, Florida? August 30th to September 1st! It’s already on the books – I’ve been invited to speak at MACNA 2019 in Orlando, Florida. I’ve been asked to prepare a unique new presentation – “Selling to Retailers”. To that end, I’d love to talk about this with any of who are willing to be on the record about your life as an independent pet retailer. I don’t know where the presentation will ultimately lead, but as I hear your stories and talk about the idea with you, I can only hope to create a positive message that will help new companies find new ways to help your own businesses take off. If you’re interested in chatting in the coming weeks and months, please let me know! 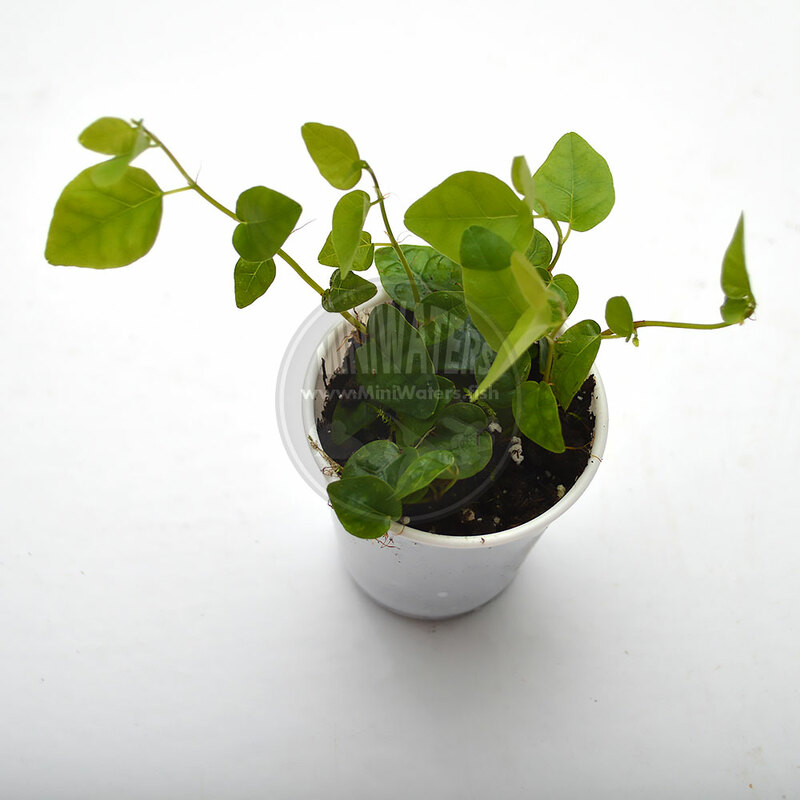 This entry was posted in Insights, News & Notes and tagged Begonia, Begonia Gryphon, Begonia thelmae, Begonias, bio-active, bio-active vivarium, bioactive, bioactive vivarium, Creeping Fig, dart frogs, Ficus, Ficus pumila, Ficus pumila "Creeping Fig", freshwater, keeping customers, plants, Ranitomeya, Ranitomeya imitator, Ranitomeya imitator "Varadero", retail, saltwater, saving customers, vivariums, wholesale.